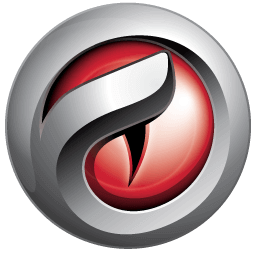 Comodo Dragon 63 – fast and versatile Internet Browser based on Chromium, infused with Comodo’s unparalleled level of Security! The Comodo Dragon has taken the latest Chromium technology and beefed it up in the one way necessary to make it the optimum Browser to use on today’s malware plagued Internet with superior security and privacy. The Comodo Dragon encompasses all of the best features of Chrome. It includes an important feature every user needs to use the Internet in total safety today. The interface looks pretty much the same like Chrome with tabs on top. A browser developed by a company that is best known for its firewall software can leave people feeling more secure about their Internet usage. Comodo Dragon will pull up a bright-yellow caution message warning people that sending information may be unsafe when they are entering a Web site with an unstable security certificate. Also, Comodo Dragon does not send browsing information to a remote server. Comodo Dragon is an aesthetically minimalist browser that is attractive, responsive, and secure. From the detachable tabs at the top of the screen to the bookmark-syncing option, it is impossible to instantly recognize where the “remix” takes place. The Help tab even redirects you to Google Chrome’s Help page and the Extensions tab redirects you to Google as well. This browser is not only fast, but like Google Chrome, it is not strewn with numerous icons, leaving more room for Web viewing. For those who are extra cautious about their online security, or for those who are worried about Google’s data-mining, this fast browser is a great choice.